Despite multiple letters and complaints sent to the Canada Revenue Agency (CRA) and to Ministers of National Revenue over the last four decades — expressing strong concerns about the Jewish National Fund of Canada’s (JNF Canada) violations — the organization maintains its registered status with the CRA. 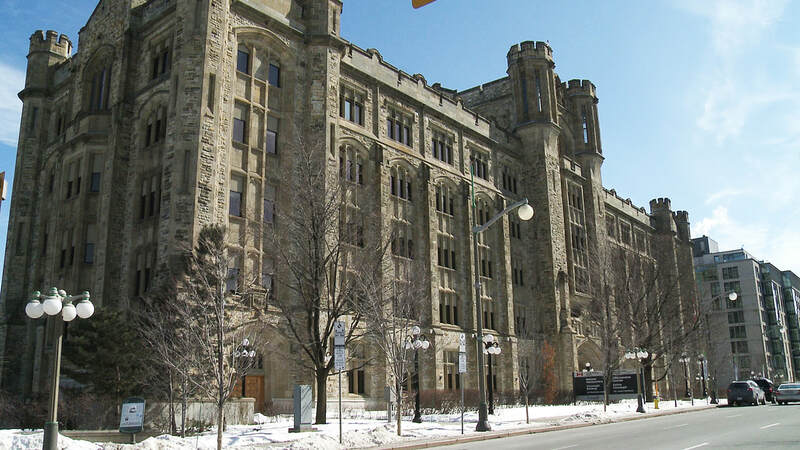 It appears that JNF Canada has not even received any penalties from the CRA, and that it continues to maintain very open and positive relationships with municipal, provincial and federal politicians. In October 2017, the most comprehensive complaint yet was submitted to the CRA and the Minister of National Revenue under the signature of four complainants: Rabbi David Mivasair of Vancouver; Bill Skidmore, instructor in Human Rights at Carleton University in Ottawa; Lorraine Guay, a retired nurse and trade union activist from Montreal; and Dr. Ismail Zayid, retired professor of pathology at Dalhousie University in Halifax who was expelled with his family from the village of Beit Nuba to make way for the JNF’s Canada Park. We call upon all Canadians to join them in demanding that our government uphold the law. In JNF Canada’s governing document it states that its sole purpose is “To create, provide, enlarge and administer a fund to be made up of voluntary contributions from the Jewish community and others, to be used for charitable purposes.” This fails to meet the requirements for being eligible for charitable status under Canadian law, since it does not actually list any charitable purpose(s). To merely claim that the tax-receipted funds raised will be “used for charitable purposes” fails to identify clearly what those charitable purposes are. Canadian law requires that a charitable purpose must identify clearly the charitable purpose category, the means of delivering the charitable benefit (activities undertaken) and the eligible beneficiary group. JNF Canada’s stated charitable purpose fails to identify any of these. Click here to read the section of the complaint on JNF Canada’s failure to identify a charitable purpose, as required of it in order to be granted charitable status under Canadian law. JNF Canada projects must be led by and come under the direction and control of JNF Canada. JNF Canada, therefore, cannot merely send money to its parent organization in Israel, Keren Kayemeth LeIsrael (KKL-JNF), for KKL-JNF projects, with KKL-JNF having primary control and making central decisions for these projects. Based on both KKL-JNF and JNF Canada materials, it appears that KKL-JNF has repeatedly been using JNF Canada as a conduit. JNF Canada is supporting KKL-JNF projects, rather than the projects being directed and controlled by JNF Canada itself, with KKL-JNF offering a supporting role for JNF Canada’s projects. KKL-JNF should be helping JNF Canada in carrying out its own projects, rather than viewing Canadian donors as “friends of JNF in Canada” – as described by KKL-JNF – who merely send money abroad to support KKL-JNF projects. Click here to read the section of the complaint on JNF Canada acting as a conduit for KKL-JNF. The Israel Defense Forces (IDF), referred to by the Israeli government as "the most moral army in the world," has been involved in the killing and maiming of thousands of Palestinian civilians in recent years, including many children. Canadian law prohibits charitable funds from supporting a foreign army. But guess what? JNF Canada has funded well over a dozen projects to support the IDF in the last few years alone, and has officially partnered with the IDF and the Israeli Ministry of Defense. Their support for the IDF primarily takes the form of funding for infrastructure on Israeli military bases, which is aimed to increase the fitness levels of soldiers, boost the soldiers' morale, and facilitate soldier intake and training. JNF Canada has also funded security roads along Israel's hostile borders with Lebanon and Gaza, which in the words of JNF Canada, are designed to "enhance military activity" in these border regions. Click here to read the section of the complaint on JNF Canada’s support for the Israeli military. In Canada, it has been illegal to restrict ownership of land to a certain ethnic group since the landmark case Noble et al. v Alley in 1951. How then is it legitimate for a Canadian charity to do so abroad? The JNF owns a whopping 13% of all of Israel’s land area, which it is then chartered to lease exclusively to Jews. This means that the 20% of Israel’s citizenry who are not Jewish, namely, Palestinian citizens of Israel, are routinely denied access to JNF land. There have also been many cases in which lands are confiscated from Palestinian landowners who have proof of ownership going back decades or even centuries. Among the most notorious examples of this is JNF Canada’s flagship project, Canada Park, built on the lands and ruins of three Palestinian villages in the occupied West Bank that were depopulated and demolished in 1967. Today, the Naqab/Negev villages and East Jerusalem are under the most threat from JNF projects, with communities such as al-Araqib, Umm al-Hiran, and Silwan often facing police raids, violence, or repeated demolitions. Click here to read the section of the complaint on JNF Canada’s discriminatory and harmful practices. If you’ve ever been to a border area, you know that there isn’t a big line on the ground like on a map. JNF uses this to their advantage: they will demolish Palestinian homes and orchards (or work with the army to destroy them), and then come in and plant rows of trees to stake a claim on that land. Around the borders of the Occupied Palestinian Territory (OPT) — otherwise known as the "Green Line" — they plant trees further and further past where the internationally-recognized boundaries are. By planting trees and establishing recreational parks, the JNF is aiding Israel in its theft of Palestinian lands and resources. The key projects that are located at least partially beyond the Green Line that JNF Canada has sponsored include: Canada Park, Begin Park, Yatir Forest, and Gilo Forest and Park. Through taking control of lands in the OPT, these projects entrench Israel’s over fifty-year-long military occupation, making a just peace much more difficult to achieve. No Canadian organization, let alone one with charitable status, should be sponsoring projects that create facts on the ground in favour of an occupying power, and which – in violation of international law – change the physical character of occupied territory. Click here to read the section of the complaint on JNF Canada’s illegal activities across the Green Line.